Update: I've put together a free PDF pattern for this doll that you can download and print. It hasn't been tested so please let me know if you find any errors. 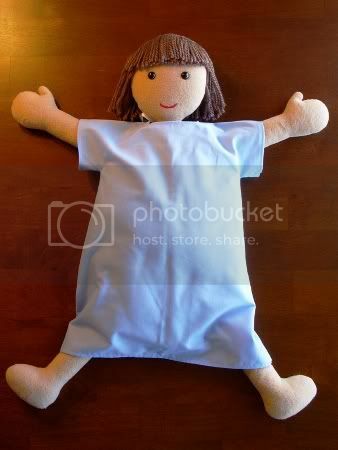 And of course I would love to see any dolls you make, just post a link in the comments! Well here it is, the top-secret project I've been working on for months! 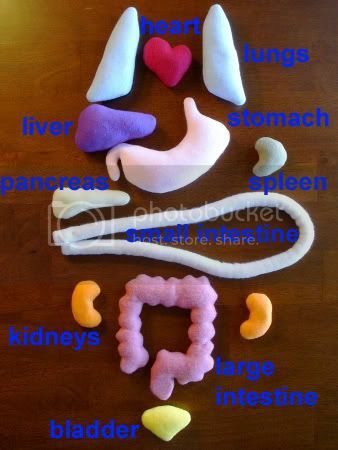 The organs are the lungs, heart, liver, stomach, spleen, pancreas, small intestine, kidneys, large intestine, and bladder. Notes on the Pattern: My patterns are free and may not be sold. Please do not reproduce or repost patterns or instructions from CraftyCattery.com without my permission. For information on selling items created from my patterns, please view the FAQ. 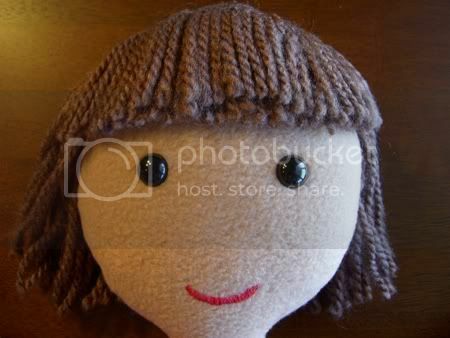 What I Did: I've been working on this doll intermittently since June. 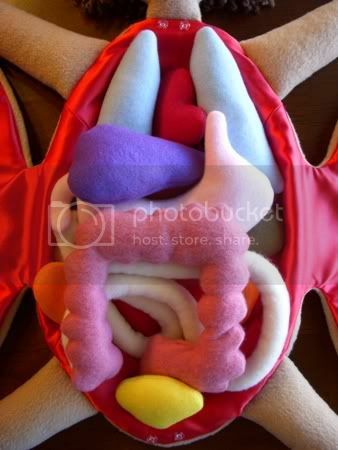 I started out with the organs since I needed to know how much space they would take up before I could make the body. Once I had them made I created the body to fit them. There are magnets in each of the organs and the inside of the body was lined with metal washers so the organs would stick to it. 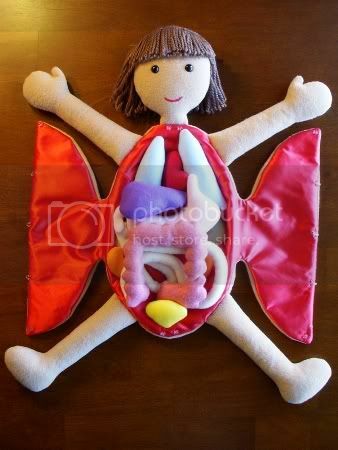 There are also magnets in ends of the stomach, small intestines and large intestines so they would stick to each other. Thanks to Costume Queen for recommending Wordle.net! It lets you make these cool word clouds from your own text or blog. I started out making my word cloud using the Wordle's option to paste in your blog's URL but I found that it only picked up words from my most recent posts. So instead I copied all the text from my blog and then pasted into Wordle's text box. It looks like "make", "used", and "one" are my most common words with "pattern", "made", "knit" and "stitches" close behind. It also looks like it picked up "sc" and "sts" from my crochet patterns, which I guess makes sense since those abbreviations are repeated a lot. My blog has been quiet lately because I'm in the middle of a pretty complicated top-secret project! 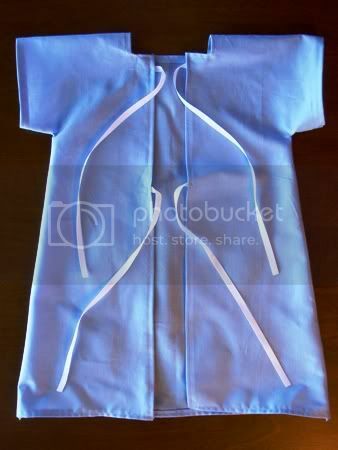 I'm trying very hard to finish it up in the next couple of weeks because I want to get started on my Halloween costume. Once it is done I will of course post photos here, so stay tuned!